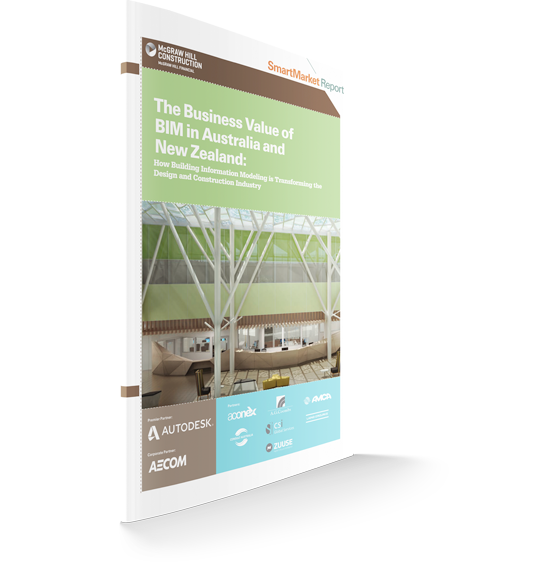 This study provides the business value of BIM in Australia and New Zealand. The report explores the status of BIM adoption in Australia/New Zealand compared to that in other markets studied by Dodge Data & Analytics, including the U.S., South Korea and other parts of the world. The report educates the user community on the status of BIM use in Australia/New Zealand and its business value.